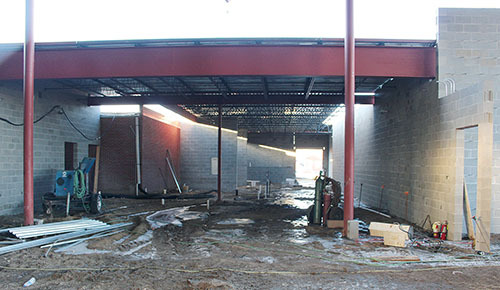 Inside the Boone Central School addition project, workers are installing structural steel in the north area, which will include the commons area and kitchen. Concrete floors had not yet been poured when this photo was taken. A $13.99 million addition/renovation project at Boone Central Schools boosted Albion’s 2016 building permit total to $18,650,055, its highest point in recent years. 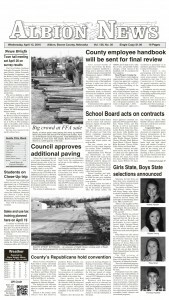 The school project accounted for 75 percent of the new construction value for the past year. Another major project, the new north wing at GSS-Albion Wolf Home, accounted for $3,275,000 or about 17.6 percent of the total. In addition to those two projects, the city issued 40 other building or demolition permits with a total construction value of $1,286,055.